LWP provided a range of input to NRC in developing a framework for setting and implementing freshwater management objectives. This involved input on surface and groundwater hydrology, statistical analysis, and implementation difficulties. 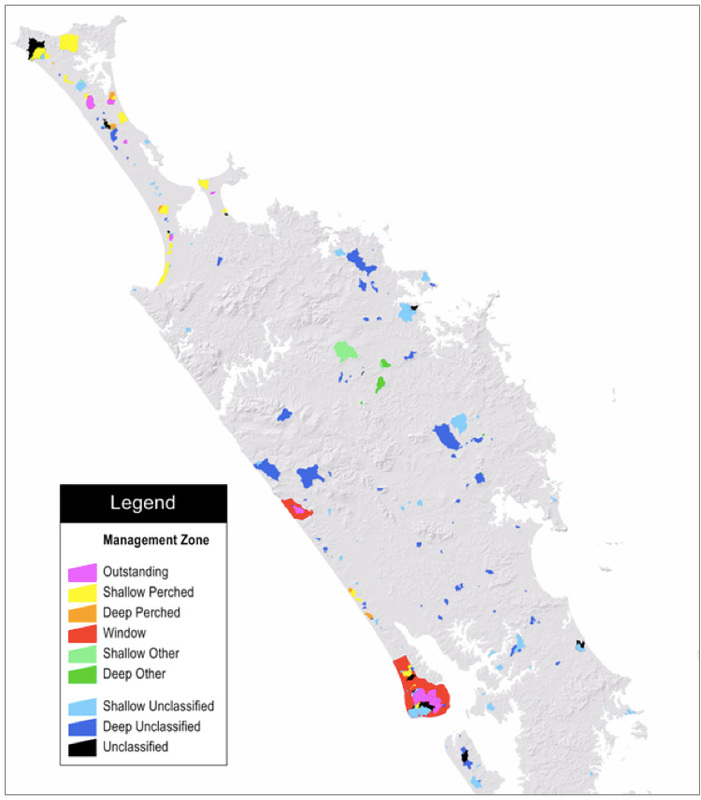 We collaborated with internal water quality specialists and those from DairyNZ, and developed freshwater management units (FMUs) for Northland’s surface water bodies and lakes. Provisional FMUs for different classes of dune lake in the Northland region.